There are some different options if you are looking for an easy to use, inexpensive device to help make life easier for someone who has hearing loss and who is limited with the type of devices that they can use. Depending on who the product is intended for and what kind of situations they need hearing assistance with, there are a few different options to choose from. The hearing amplifiers that are usually the best options for individuals in hospitals or assisted living facilities are handheld personal sound amplifiers. These devices consist of a unit that is easy to hold in your hands (similar to the size of a small cell phone) that has headphones attached. When the individuals with hearing loss have a visitor, they simply put on the headphones, turn on the unit and listen. The reason handheld amplifiers work so well in hospitals and nursing homes is that they are very easy to maintain and use. There are generally no complicated controls or buttons to work. Usually, there is a simple volume and tone control that the user can adjust to their preference. What makes these types of products so useful are that they are quick and easy to use, they are large enough that they won’t get lost (unlike small hearing aids tend to do), and they are relatively inexpensive. The following are some of our favorite products that work well when having conversations. One of the best options among the handheld amplifier products that are available is the Pocketalker Ultra 2.0. The Ultra 2.0 is the latest model put out by William Sound and is based on the wildly popular Pocketalker that has been a staple in Nursing Homes and Hospitals for years. It is easy to use, has excellent sound quality, and is very popular. 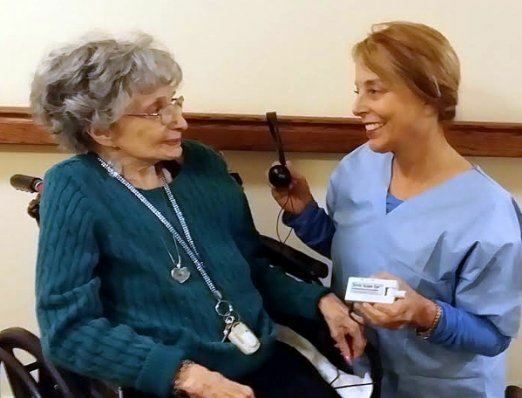 Another handheld device that works well in an assisted living type situation is the Audio Max. It is a little larger than the Pocketalker, but it has large easy to see controls and the size of it may work well for users who have difficulty with smaller buttons and smaller units. 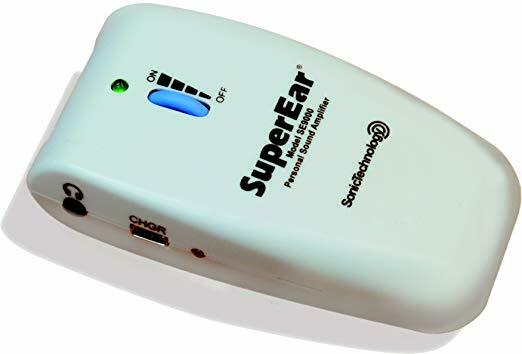 The Super Ear is an inexpensive hearing amplifier that is an excellent option if you don’t want to spend too much but needs a device that can help an individual hear better, easily and quickly. If you are worried about your loved one’s costly hearing aids becoming lost during a hospital stay and would like a cheaper hearing aid like device, a good option is the Empower. It retails for around $350 to $400 per ear and is one of the most well reviewed and popular quality amplifiers on the market. It isn’t a hearing aid but uses similar technology. Many users have found them to be an excellent replacement for hearing aids that have gone missing or as a temporary replacement while hearing aids are being fixed. A big issue that some individuals face is trying to watch TV at a sound level that they can hear, without disturbing others nearby. There are some products that address this issue. You can use an infrared system or radio frequency system which involves plugging a transmitter into the back of the TV that the individual is going to be watching, then the sound from the TV gets transmitted directly to the receiver. 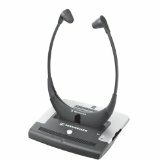 The receiver can be wireless headphones, a speaker, or a neck loop. If you are interested in IR or RF systems, have a look at our post on the Best TV Listening Headphones. Another option that is great for people with mild to moderate hearing loss who like to spend time watching TV, but who may not want to wear headphones or a neck loop is the Audio Fox Wireless TV Speakers. 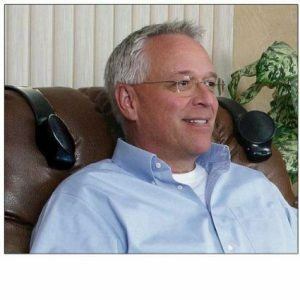 They are wireless speakers that you can attach to the back of a chair, bed or a couch so that they can be positioned very close to your ears, but you don’t have the bother of having to wear headphones. 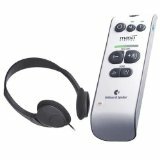 They could be a great help to someone in long term care facilities to help keep the noise of the TV down while allowing the user to hear their TV shows. Audio Fox uses radio frequency technology. Finding the right device can involve a bit of trial and error; what is comfortable for one person may not be for someone else. Also, the sound quality can vary quite a bit for different amplifiers, so what one user may think sounds great another thinks sounds terrible. Many of the manufacturers offer 30-day money back guarantees so that you can try some of the devices relatively risk-free. Even though it can be challenging to find the perfect aid, it is well worth the effort. The ability to hear is a crucial factor in ensuring that your loved one doesn’t become isolated and frustrated while in hospital or a long term care facility. There are devices for all types of budgets, from $40 to basic handheld amplifiers like the Super Ear 5000 up to $400 for higher end hearing amplifiers. 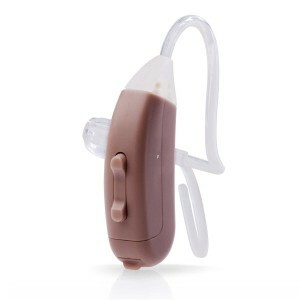 Many individuals are scared off by the excessively high price of hearing aids and choose to do nothing to address their hearing loss, which is unfortunate because many could be helped with some of these types of products for the relatively little cost. It is a good idea for anyone who thinks that they may be experiencing hearing loss to take a hearing test. Many places offer free hearing tests, or you can do one online. Before purchasing any hearing aid, it is a good idea to get some idea what type of style will work best for the person who will be using the product. Some people hate to wear headphones; others dislike the feel of over the ear hearing aids, some people like the feel of in-the-canal type models. Aids being uncomfortable is often given as one of the top reasons for not using a hearing device. Since there are so many different types of options to choose from, it is well worth at least discussing what kind of style the user will be most open to using. If you have limited dexterity or mobility, trying to change a tiny battery in a hearing aid can be very difficult, even trying to replace a AA battery in a handheld unit can also be challenging. When looking at different products, check for battery life (the longer, the better) and how easy the battery type will be to change for the person who is using it. Another big factor when shopping for a hearing product for someone who is in a nursing home is finding a product that is easy to use. Sometimes it is tempting to go for the device with the most bells and whistles, but for many users that isn’t the best way to go. Most of the products we have recommended are very easy to set up and use, with a little bit of help initially. There are many reasons that someone won’t use their hearing device when in long term care. Here are few things to look for and hopefully resolve. Ensure that the type of aid is comfortable for the user to wear. One of the main reasons that individuals don’t wear hearing aids is that they don’t fit properly and are uncomfortable to wear. Make sure the user know how to work the product. Go through how to turn it on and off, turn up the volume. Get a device that is simple to use. More features and buttons are generally not something you should be looking for when buying for a hospital or nursing home type use. When you visit, offer help to make sure the model is working correctly. Let staff know about the device and how it works, ask them to help ensure that any hearing solutions are being used and are working properly. Hearing loss can be challenging enough when experiencing it in a familiar situation, but when faced with unfamiliar setting or a setting where you may be having to interact with doctors, nurses and other health care providers who you don’t know about the hearing loss can be a challenge for anyone. 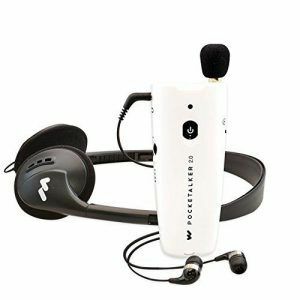 Thankfully personal sound amplifiers offer a great solution to help people in hospitals and nursing homes deal with their hearing loss for a relatively inexpensive cost. The wide range of technologies and wearing styles that are available mean that there is something for everyone.